Hi, ladies! So, today’s article is about a special product! 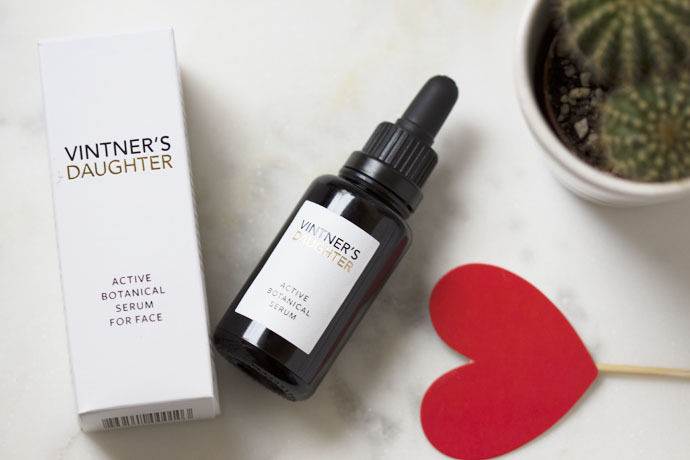 It is called Vintner’s Daughter, an active botanical serum for the face and the new ‘IT’ face product! I first heard about it from a friend, who very enthusiastically told me that there is a new face oil on the market, which makes a real difference and that I can read about it on ‘Into the Gloss’. Now, when I heard about this source, which, for me, is representative for quality info, I told myself that I have to somehow lay my hands on this goodie. 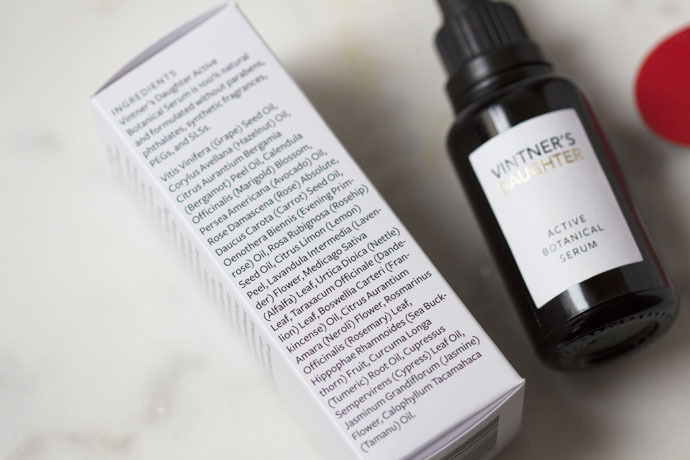 I’m one of the very lucky bloggers who was able to get in touch with April Gargiulo, owner of Vintner’s Daughter and creator of this precious serum. I even talked to her on the phone and I found out that her brand is very special and personal for her, because, what she managed to develop, is based on her own experiences with beauty products. I also discovered that her formula is something that nourishes, treats, rejuvenates and restores the skin because all of the ingredients are of the finest quality and because (and this is what I find so special about this product) of the fact that the face oil is produced very slowly, in order for all of the ingredients to preserve their qualities. The formula is temperature controlled and none of the extracts are heat processed; the ingredients are used in some of the highest concentrations in the industry. She told me that she experienced acne problems and this product was developed in order to treat this condition but also to fit any complexion needs at any age, to be extremely effective while also clean, pure and non-toxic. Knowing this, you can imagine that I couldn’t wait to receive the full size sample (courtesy of April Gargiulo). 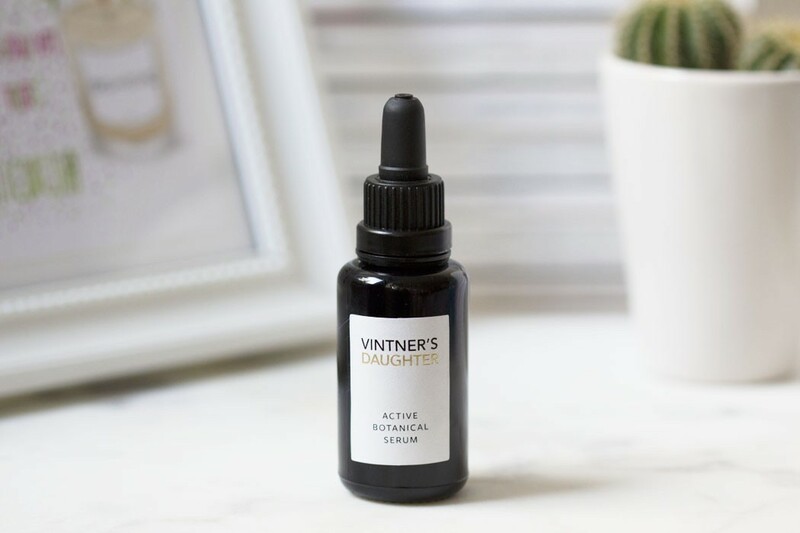 I’ve been using Vintner’s Daughter Active Botanical Serum for Face for just a little over 2 months now and here is what I personally think of it. The serum is actually an oil, with a very light texture and a beautiful rich colour. It comes in a dark glass bottle that protects the product from light; it includes a glass pipette dropper which makes the quantity to be used each time, easily measurable. It has a strong perfume but a natural and very pleasant one, which calms and relaxes the senses and which disappears after the product absorbs into the skin. You know by now that I’m not a fan of strong perfumes, however I love this one and it adds to the character of this product. I’ve only been using the oil in the evening because I don’t like anything even slightly oily on my face during the day. I pressed and pushed the palms all over my face for about one minute (and then applied the rest on my upper hands). This technique is absolutely fantastic, I couldn’t use the oil without it; the technique stimulates the circulation and has a superb decongestant effect. It’s also calming and helps the product sink beautifully into the skin. The Press/ Push Technique together with the perfume relax the senses and prepare the skin for the night. This product is definitely working and it’s a must! Because of the small quantity needed for each application, it’s very long lasting (in 2 months I managed to use less than a quarter). It suits each skin type and need! The serum is 100% toxin free and formulated without parabens, phthalates, synthetic fragrances, PEGs, and SLSs. Not tested on animals! Several drops of serum may be added to moisturizer, exfoliator, mask, foundation and even cleanser to increase activity level and skin’s radiance. What do you think about this face oil? Do you usually like to use oils on your face/ body? Also, if you like to ask me something or if you think I’ve overlooked anything, please let me know! That is such an amazing serum/oil. Thanks for sharing your impressions. Caudalie | Gift Sets – Give The Gift Of Happiness 2016 !